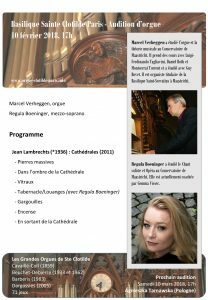 Today I’ll play in the beautiful Basilica in Tongeren, Belgium. The concert will start at 16.00 hrs. I’ll play on the new organ manufactured by Thomas in 2014. After a magnificent performance last Thursday of the Mass for two organs by Louis Vierne with the Cappella Sancti Servatii , Arno Kerkhof at the second organ (Harmonium) and conductor Hans Heykers, , tonight we’ll perform works by the great J.S. Bach in cooperation with Studium Chorale, conducted by Hans Leenders. Location: Onze Lieve Vrouwe Basiliek , Maastricht, 19.30 hrs. 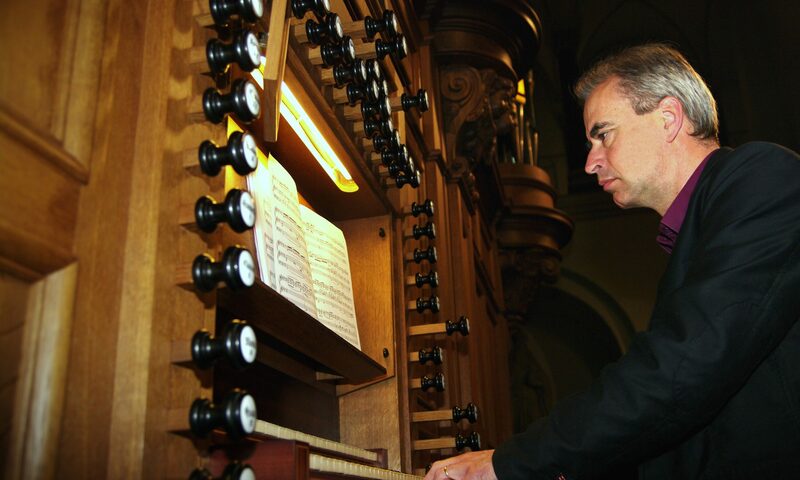 20 May at 15.30 Marcel Verheggen will perform a concert in the Sint-Servaasbasiliek which will be related to Whitsunday. It is an interesting program with the rarely performed ‘Triple Choral’ by Charles Tournemire, a meditation by Max Reger upon the Whitsunday song ‘Komm, Heiliger Geist, Herre Gott’, and the complete ‘Messe de la Pentecôte’ by Olivier Messiaen. Wednesday 21 March I’ll play music by the great J.S. Bach, together with Studium Chorale which will perform the beautiful motet Jesu Meine Freude. Place: Amsterdam, Orgelpark. 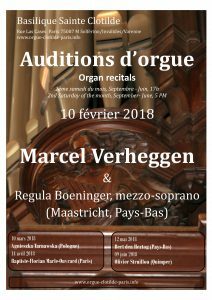 It is the presentation of the new Baroque organ! After a joyful Christmas concert last weekend , you can enjoy in the Sint-Servaasbasilica in Maastricht on Christmas Eve at 24 hrs and 25 December at 11 hrs beautiful music with the Cappella Sancti Servatii and a small orchestra as a part of the High Mass. You can listen to music by, among others, Haydn, Bach and Widor, splendid compositions to celebrate the birth of Christ in the famous and spectacular Basilica of Sint-Servaas.